If you are interested in speaking with a lawyer from Slades and Persons Criminal Lawyers about your case, please contact us by filling out this form as completely as possible. 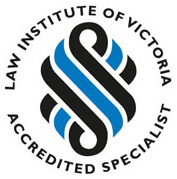 The team at Slades & Parsons criminal lawyers are highly experienced in all aspects of criminal law in Victoria. You are welcome to contact us at any time 24 hours a day, seven days a week. It is important not to delay contacting a defence lawyer if you have been charged with a crime. In the “message” area, please give us as many details as possible so as to allow us to refer this matter to the appropriate team member. Please fill in the form below to get in touch with us. One of our team members will be back in touch with you shortly.